Sometimes you go through life doing what you love without realizing the impact you have on others. On the other hand, you can go through life living for others; overlooking the impact you have on yourself. The news of Robin Williams was eye-opening, it made me think about all the times he made me laugh growing up and thinking how I never gave a second thought about the person behind those happy characters. Always associating him with happy emotions, I actually found it difficult at first to feel saddened by his recent death. I thought about it for a while and I can’t even begin to imagine how much depression he must have been suffering through. I mean here’s a man who expressed nothing but positive energy; spreading joy through laughter yet was unable to use his own talent and skill to help himself, that’s what really got to me. Anything you do with your life, for whatever purpose, do it with passion but be sure to keep it intone with your identity and take the time to listen to what your emotions are telling you. At moments when you feel off or when you do not feel like yourself, is the time you must place your pursuit on hold and process what you’re going through. Only when you’ve processed and feel like you again, can you successfully and healthily continue on. Depression is distressful and I know a few that would’ve found it easier to escape than to process. 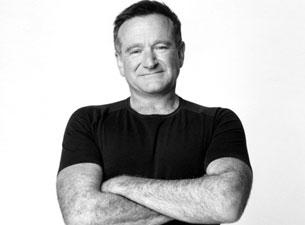 R.I.P Mr. Williams, you’re most definitely going to be missed. Posted in Confidence Building, Misc. Lifestyle, The Lions Life - Entire Collection.Tagged actor, comedian, death, Depression, disney, genie, identity, loss, mental-health, robin williams, struggle, suicide.